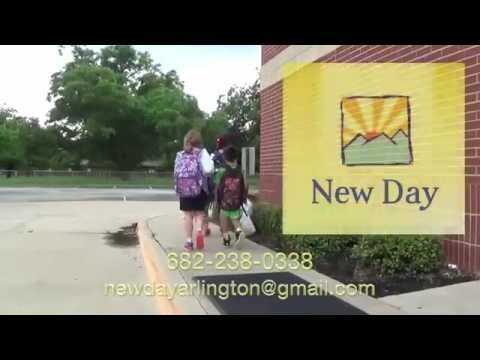 NEW DAY provides weekend food to hungry students in the Arlington Independent School District. NEW DAY provided sacks of 11 food items for AISD students who live in food insufficient situations. In May 2018, we were delivering 700 sacks of food each week to 42 of the 76 school campuses, 55.2%. All of the work of buying the food items, preparing the sacks, and delivering the sacks to the schools is done by volunteers. NEW DAY works out of three sites: Grace Presbyterian, Westminster Presbyterian and Trinity United Methodist. Money to support this work is given by individuals, churches, various foundations and our annual participation in North Texas Giving Day. Trinity is excited to become NEW DAY's third site and help them achieve this year's goal of 600 food bags per week. Hopefully, our participation will aid in additional growth in the years to come. This foundation seeks to identify and support local agencies that help families and children in need. We support NEW DAY and will continue to do so because it is a successful program. They have a plan and actually follow the plan and accomplish their goals. We like NEW DAY because we wanted some work that makes a difference. Our members include many retired teachers and they knew that feeding hungry children is a real need. So once a year, we purchase a whole week's work of food and prepare all of the sacks. We will do this for the third time in February 2018. NEW DAY is able to provide food to our students who may not have consistent access to food. They are able to accommodate our needs and they are willing to adjust if there is an upturn in needs. Thus, NEW DAY is a positive force in our students' lives, both physically and emotionally. They get a sense that their school and community cares whether they have the basics they need. Even if they are going thorough tough times in their home life, they get the sense that there is someone reaching to them.